The beauty of eastern India – its metropolitan hub. And vibrant hues of reds, yellows, blues and greens. 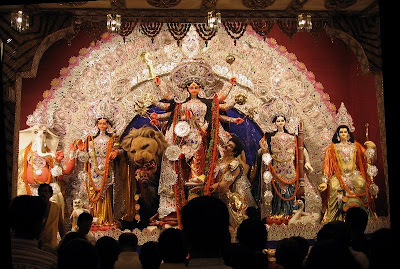 Yes, it’s time for Durga Puja in Kolkata. The time when the fairy tales you read from gold embossed books in childhood seem to come alive. It is said that the name comes from Kalikata – meaning Kalikshettro , the abode of Goddess Kali - one of the 3 villages that was present in the area before the arrival of the British. Take a walk here and you are transported back in time. With a history of inhabitation for over two millennia, once the capital of the British Raj and presently the 8th largest urban conglomeration in the world, this city has more layers than meets the eye. One second, the Victoria Memorial catches your breath and the next, before you realise, an antique tram has subtly gone past you! 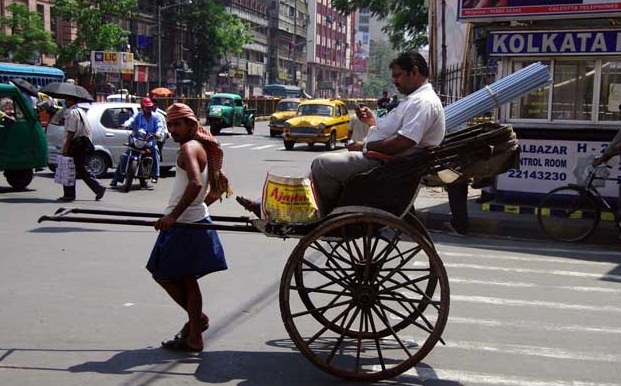 The transport modes are a highlight to any tourist – such a wide variety is not present in any other city in India. 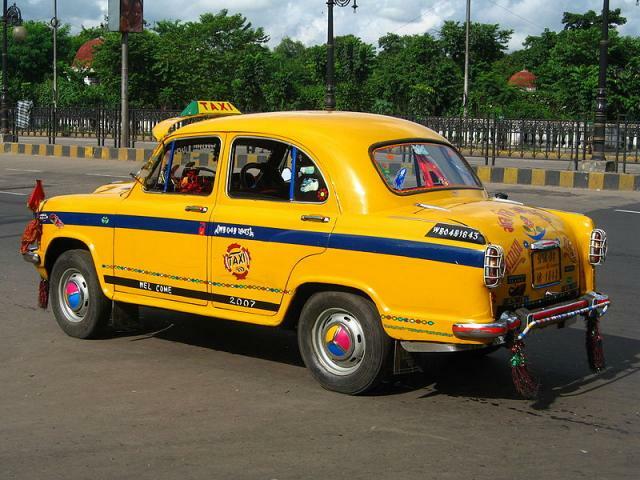 Comfortably seated in the trademark good-old yellow Ambassador taxis, which are the lifeline of Kolkata, you can spot horse-carriages along Maidan Road, trams playing hide-and-seek every once in a while, buses – news ones as well as the older generation with wooden window shutters, cycle rickshaws and hand rickshaws, autos and yes, cars – from BMW models to the cosy Nano. Places to see here? If you are an ardent cricket fan, you will look no farther than Eden Stadium and Sourav Ganguly’s residence. For those of you who admire engineering marvels, Howrah Bridge is the place to be. It is a cantilever truss bridge that was constructed without using any nuts and bolts way back in 1874. Amazing, isn’t it? Looking for family entertainment with kids? Relax your worries, Kolkata offers that too – with its beautiful Nicco Park and the Science Centre! 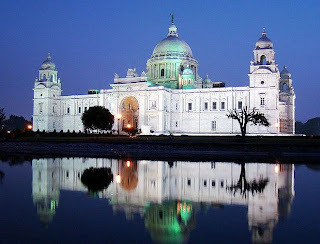 For a walk through history, there is the privately owned Marble Palace with its artistic sculptures and masterpieces, the Indian Museum, the Town Hall and Writer’s Building for a glimpse of British Administrative buildings and the Shaheed Minar to name a few. Finally, at the end of the day, wish to sweep your special one off her feet? 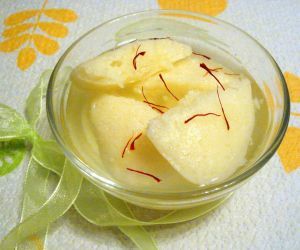 Take her shopping – to the gigantic malls in Salt Lake City and elsewhere or if she loves bargaining and the excitement of roadside shopping, New Market, Esplanade, Gariahat, Chowringhee Road with its terracotta wares [a Kolkata speciality] and Vardaan Market. However, you are sure to discover lots more markets in your travels. The cultural capital of India, this city welcomes you with an open heart and casts a spell on you with its depth. How many ever times you come here, its never enough. There is always more to be seen, known, observed, experienced. Keep visiting it. Again and again. Its worth every bit of it. P.S: Traffic congestion and pollution are one of the major drawbacks of this metropolitan hub. Make sure you go at a favourable time of the year, unless you wish to be drenched in sweat and scorched by the sharp sun. Lastly, beware of taxi drivers who might take you for more of a ride than you’ve bargained for. Cal. After having lived in Kharagpur for five years, this word incites a strange emotion in me. The gigantic Howrah Junction, the vibrating Howrah Bridge, the scintillating Eden Gardens, the super high density crowd, and even denser sweat on your forehead. :D That's Cal (oh, sorry, Kolkata) for me.